This photo from the Champaign County Auditor’s website shows a structure at 861 S. Main St. in Urbana. The property’s owner, Linda Rivera, has applied to rezone property at 861 S. Main St. from R-2 (Residential) to B-2 (Business) to allow the owner to operate a bed & breakfast, cafe and spa. The Urbana Planning Commission will recommend that the city council vote against an application to rezone property at 861 S. Main St. from R-2 (Residential) to B-2 (Business) to allow the owner to operate a bed & breakfast, cafe and spa. The property currently is used for apartments. The planning commission made its decision following comments from the city’s zoning officer and neighbors at a meeting on Monday. The application will next go before the city council for a first reading on Feb. 5 and will be the subject of a public hearing on Feb. 19. Zoning Officer Adam Moore said that approving this rezoning request would create an island of B-2 zoning not contiguous to any other primarily business district. This is commonly is known as spot zoning. He also noted that council rejected a rezoning application for properties in the same area in 2017, that the city had commissioned a neighborhood study plan in that area, and that rezoning the property would increase the building’s nonconformity regarding setback restrictions from the property boundaries. Applicant Linda Rivera owns eight apartments in Champaign County, including three in the South Main Street property that she purchased in 2002, two of which are currently occupied. She submitted the application after considering other uses for the almost 1,900-square-foot residential structure built in 1880. Rivera said that there are no restaurants near that area, but several neighbors at the meeting said that the neighboring Clark’s Market has seating available. Also at this meeting, Rich Ebert was reappointed as chairman of the planning commission, planning commission member Eric Samuelsson was reappointed as the CRA Housing Council member for calendar year 2019, and planning commission alternate Steve Brandeberry was appointed as the commission’s representative on the Downtown Design Review Board. 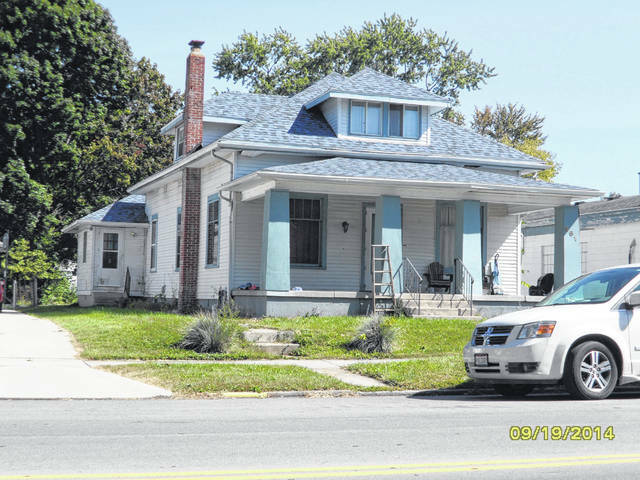 https://www.urbanacitizen.com/wp-content/uploads/sites/36/2019/02/web1_Rivera.jpgThis photo from the Champaign County Auditor’s website shows a structure at 861 S. Main St. in Urbana. The property’s owner, Linda Rivera, has applied to rezone property at 861 S. Main St. from R-2 (Residential) to B-2 (Business) to allow the owner to operate a bed & breakfast, cafe and spa.